New Ferrari GTO have a name - Read more on LuxuryPulse. With the world premiere scheduled for March, this year's edition of the Geneva Motor Show, the most radical version of the Ferrari 488 will not be called the GTO, but rather 488 Track, reinforcing the evidence of this new Maranello brand machine bringing many "lessons" from the tracks and competition. It is now confirmed by the images that have now arrived on the Internet, allegedly the result of an information leak. 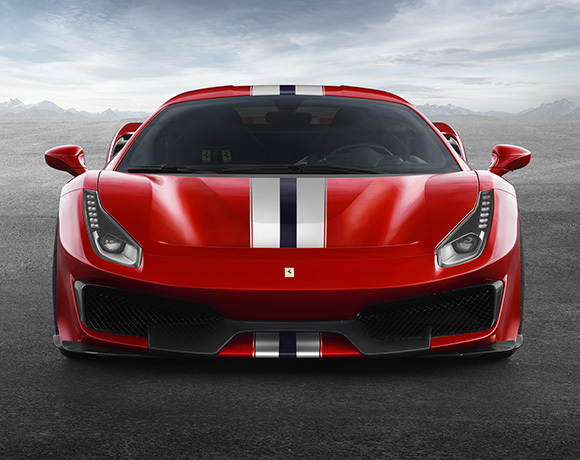 The 488 track is expected to have a 3.9-liter twin-turbo V8 engine with 721 horsepower and 770 Nm of maximum torque, using various carbon fiber elements, to be lighter compared to the 488 GTB (the weight, according to internal Ferrari sources, should be 1,280 kg) and also 20% more aerodynamic. And, if a power-to-weight ratio of less than 2 kg / hp is confirmed, the 488 Track is expected to meet the acceleration from 0 to 100 km / h in a time close to 2.8 seconds.